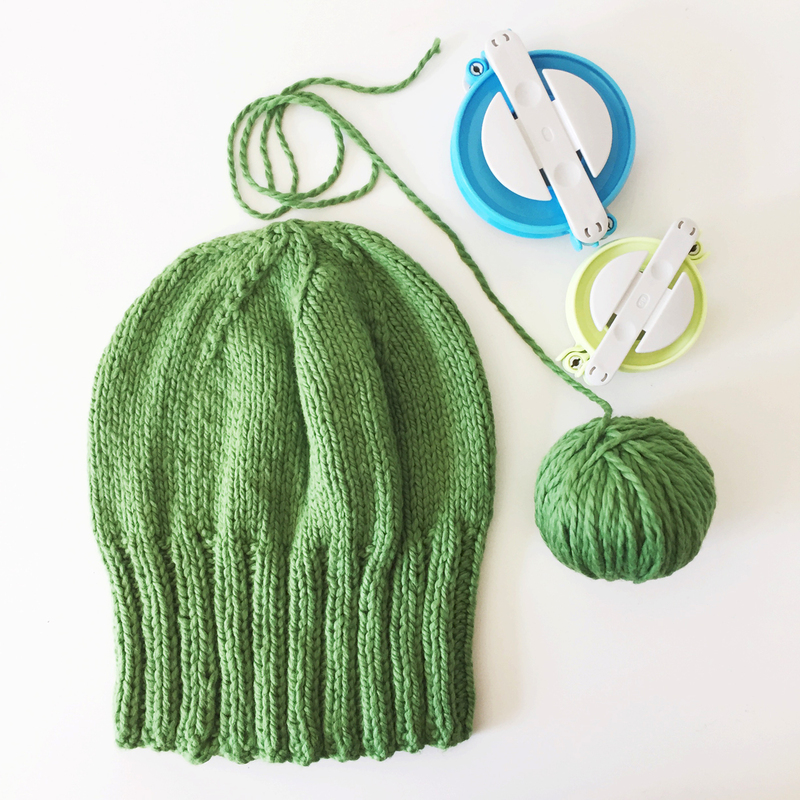 The green beanie is finished! 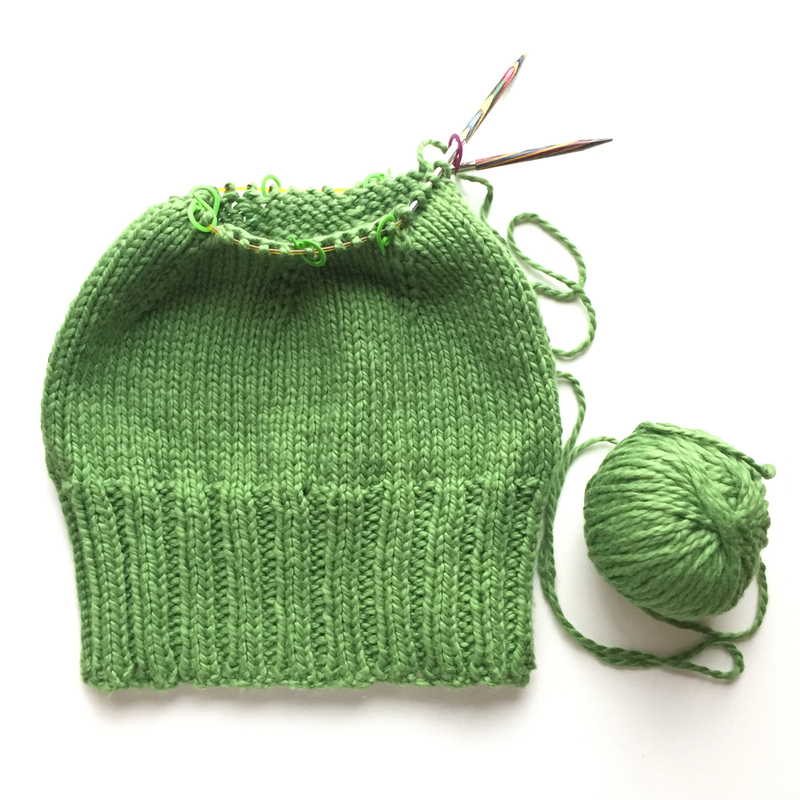 Actually it's now March, the green beanie was finished a couple of weeks ago now. My how time gets away from one. I'd like to say it's because we are having fun, but yeah, no, just normal stuff. Little ones birthday, work, general palaver and looking ( or worrying about looking) for a new house to live in takes more mental energy than you'd think. So back to the beanie! 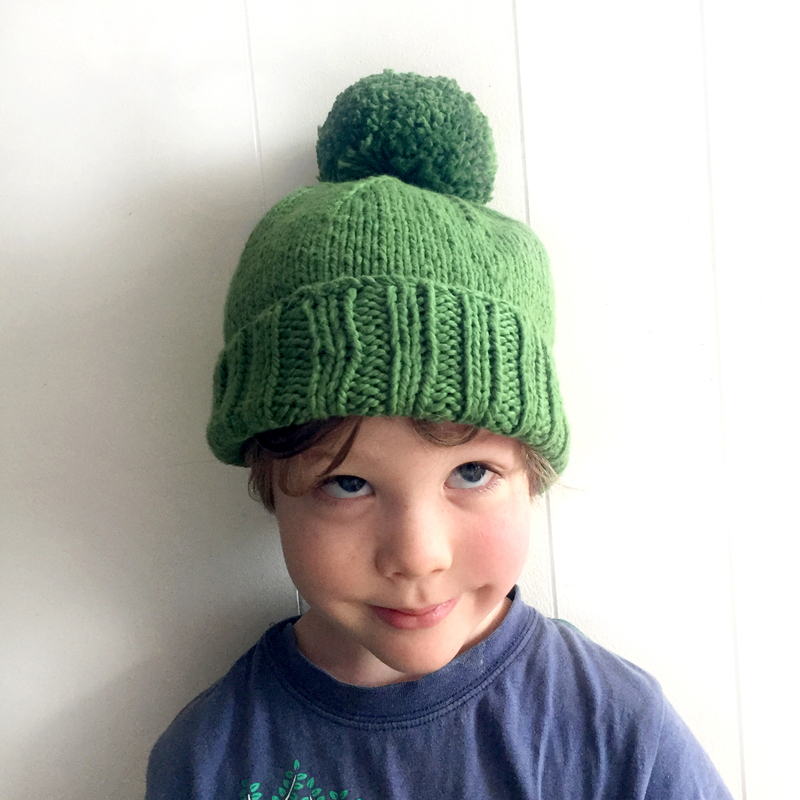 Second born asked for a green beanie for his fifth birthday, and I accepted the challenge. 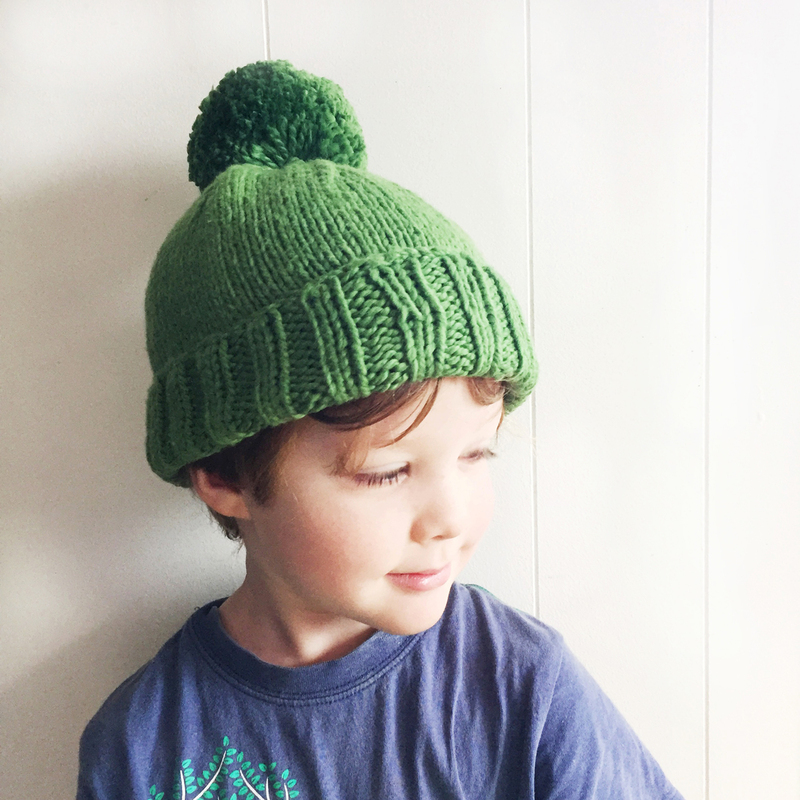 It also had to be knit in secret, so that he would have no idea I was knitting him a beanie. this made testing to see if it fit a bit tricky. 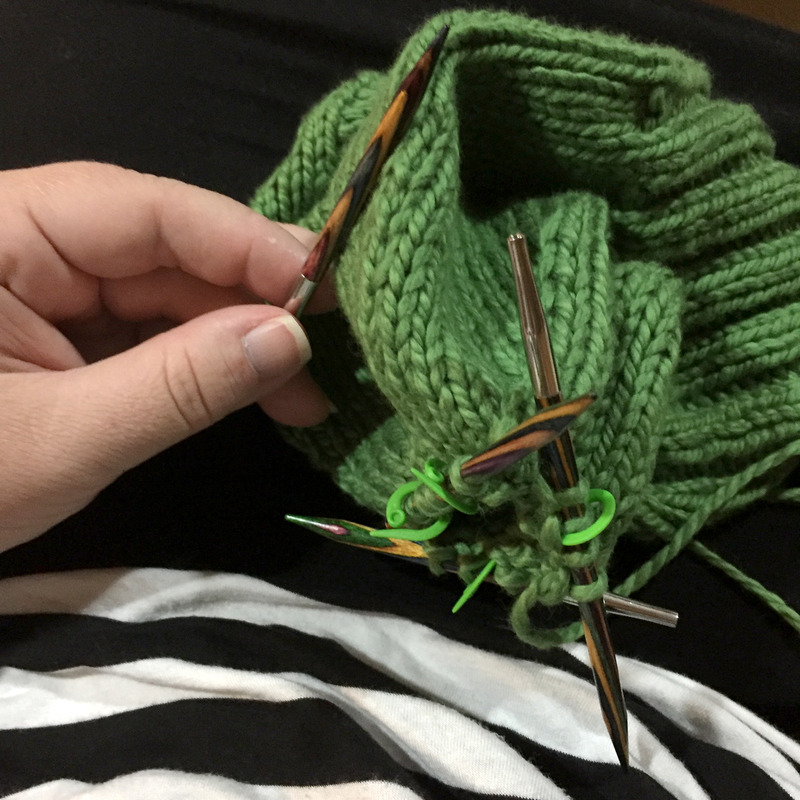 First knit project in more years than I can remember, and first time knitting in the round. That first row was killer. Mistakes were made, and mostly left, completion being better than perfection in this instance. 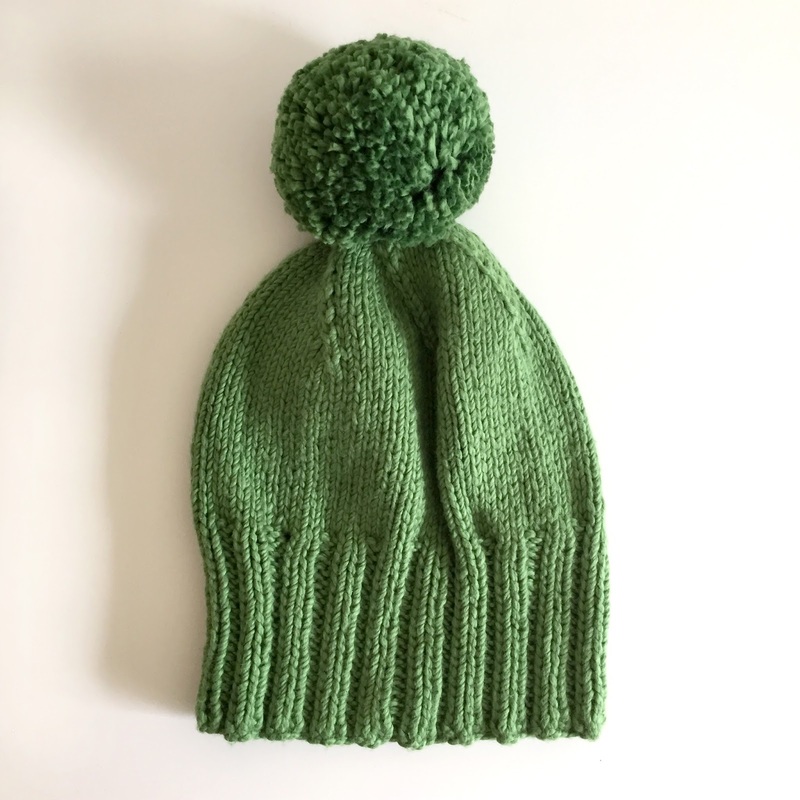 I used Blue Sky worsted cotton in Pickle, and the pattern was the simple hat from The Craft Sessions. When it came to the crown, I considered waiting to buy 5mm dpns, but thought, stuff it. Just go McGuyver on that and use what you've got, which were the long and short 5mm ends of my circulars. Worked a treat, got the job done. To pom or not to pom? I shall never regret buying these pompom makers. I love them so. It turned out that pompom was the answer, as it so often is. Now I just hope he wears it. Awww he is utterly adorable! As is his surprise, as requested, hat! i'm sure he will wear it, especially during winter. Nice pom pom. I can't even stop to think about the fact he is off to school next year without feeling the impending tears!